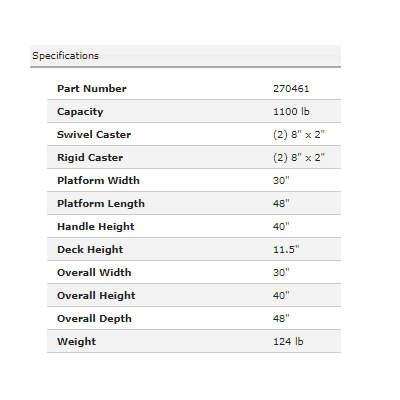 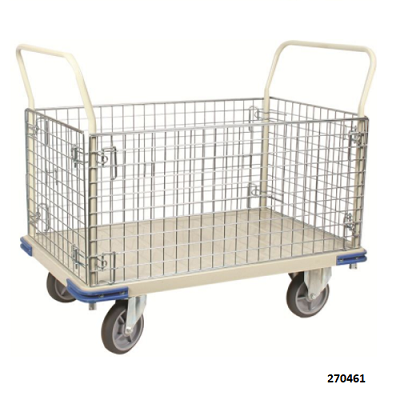 If you need a platform truck for moving loose materials or small boxes, this might just be the perfect solution. 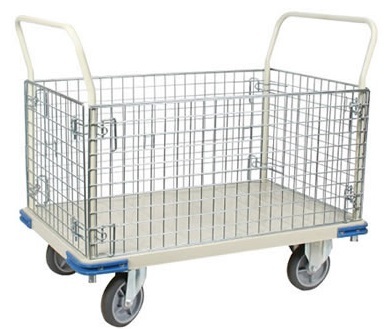 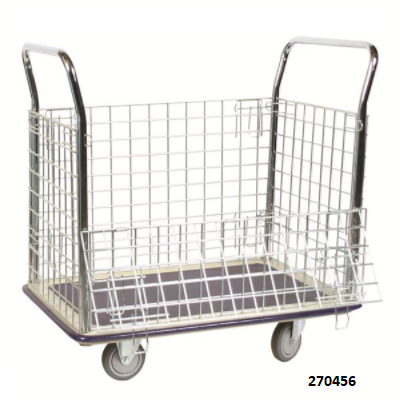 This Wesco platform cart comes with removable wire cages that will ensure that your load will not fall off the truck during transport. 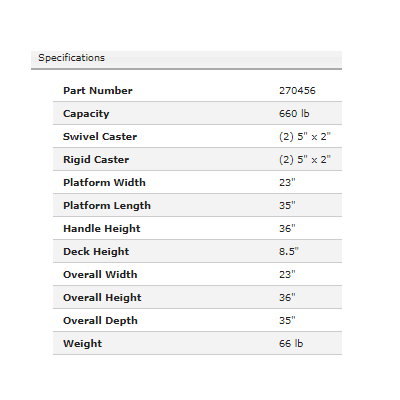 Quick and easy install of the sides means you can load up your truck and secure it in a snap with installing the sides, then take off the sides again when you need to unload your items.